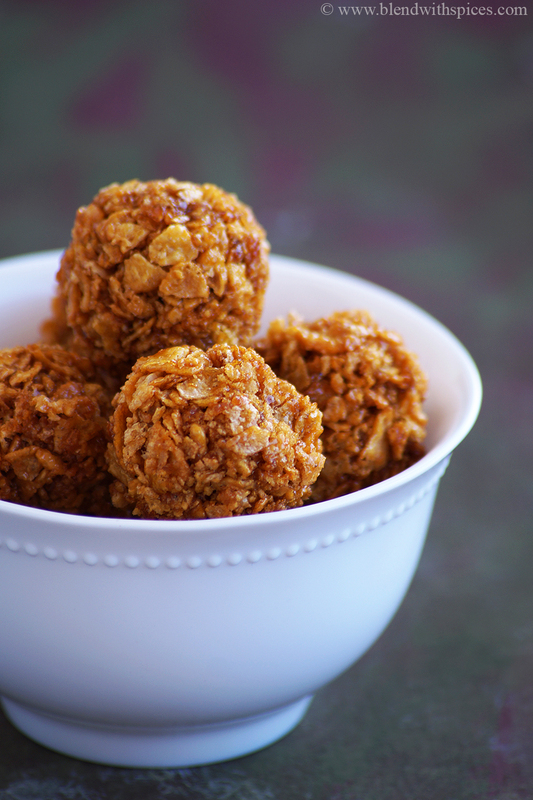 Corn Flakes Jaggery Laddu Recipe – An easy, quick and delicious sweet snack made with cornflakes, jaggery and cardamom. 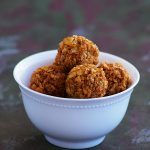 If you are looking for more Laddu Recipes then do check Pori Urundai, Quinoa Jaggery Laddu, Palli Nuvvula Laddu, Besan Mawa Laddu, Churmundo Recipe, Ragi Peanut Laddu and Coconut Laddu. 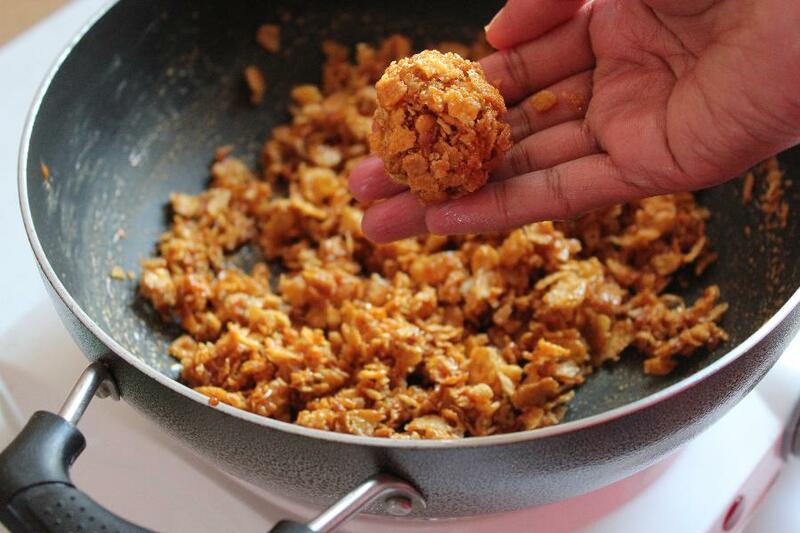 Corn Flakes Jaggery Ladoo Recipe - An easy, quick and delicious laddu made with corn flakes, jaggery and cardamom. 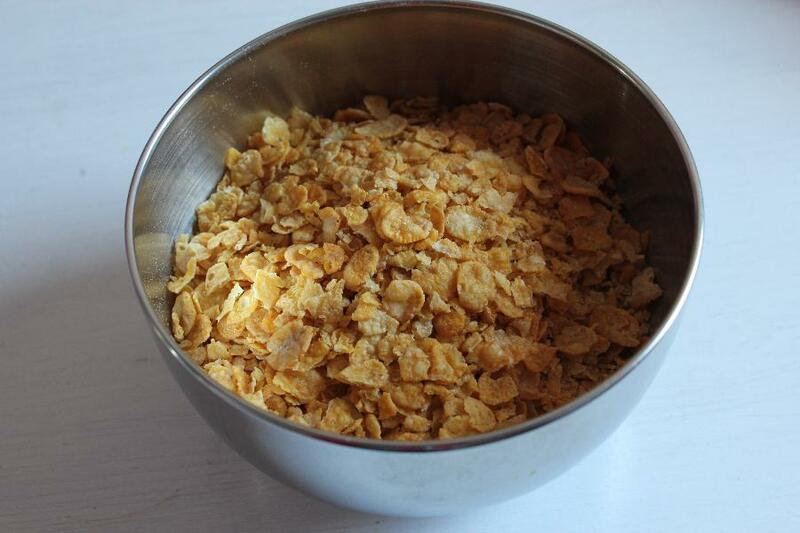 Lightly crush the corn flakes with your hands and keep it aside. 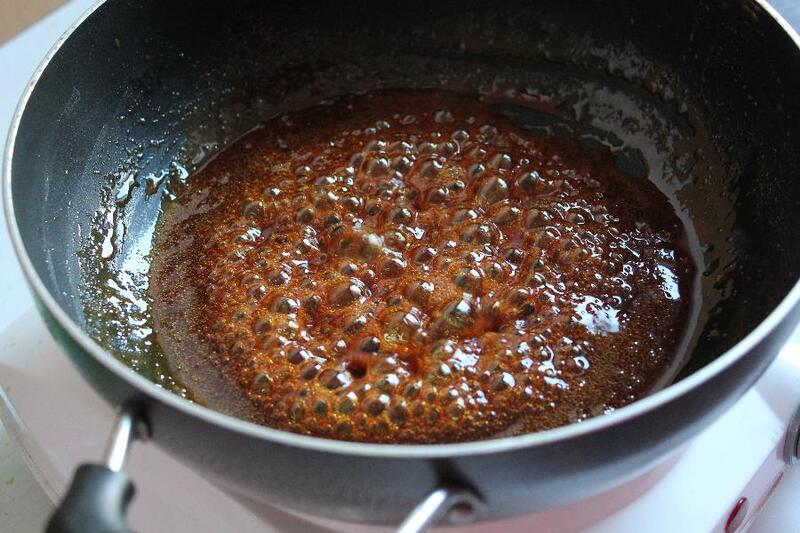 Heat jaggery and little water in a pan. The amount of the water should be enough to immense the jaggery. 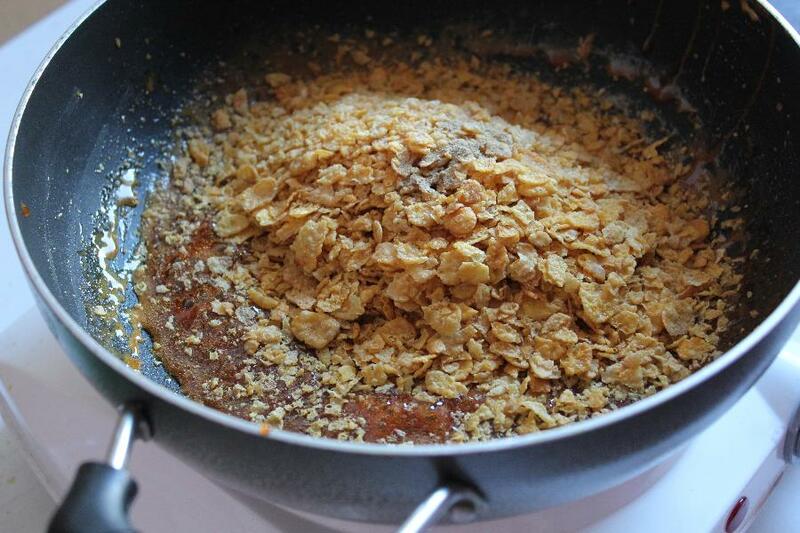 Keep mixing to melt the jaggery. 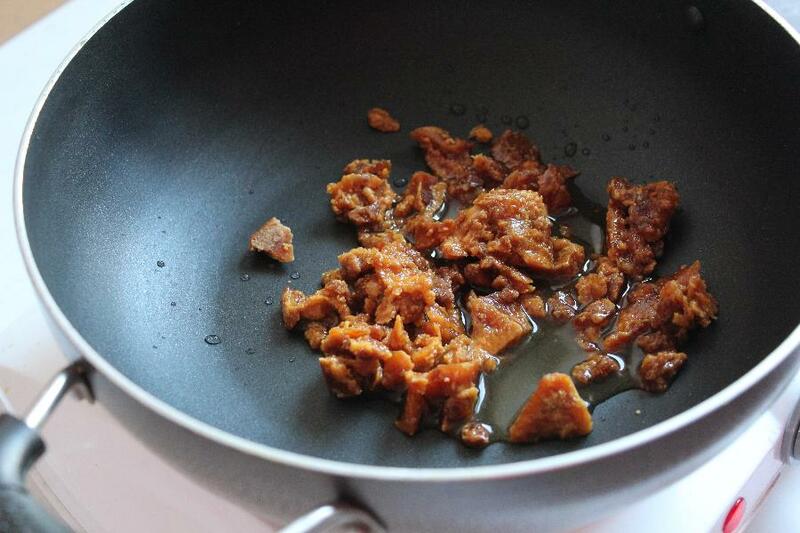 When the jaggery is completely melted, strain the syrup to remove any impurities. Then continue boiling the syrup over a low flame until thick and hard ball consistency. To check the consistency, drop little bit of syrup in water and you should be able to gather the syrup and make a ball. 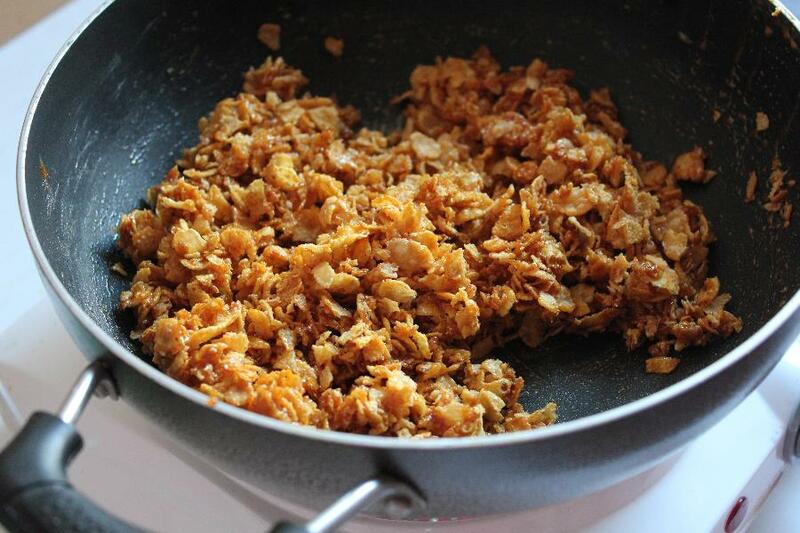 Now add the crushed corn flakes and cardamom powder. Mix everything until well combined. 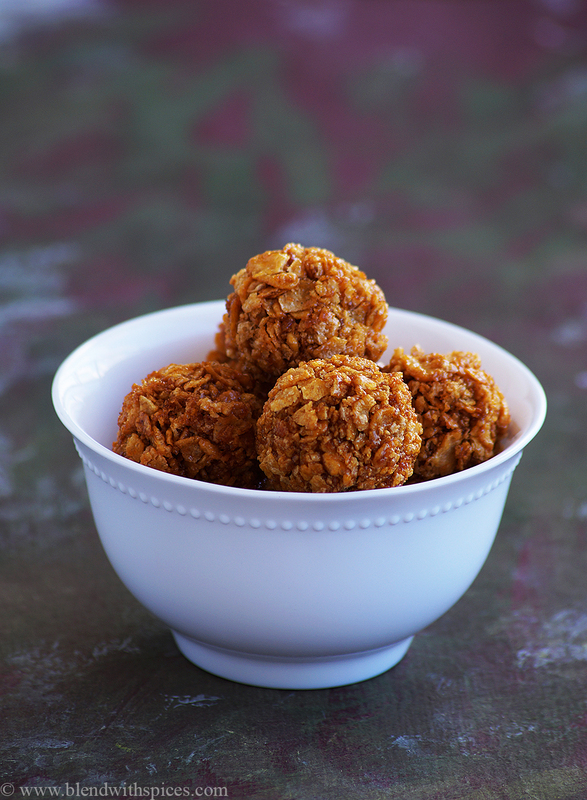 When the mixture is still warm, grease your hand and make small round balls out of the mixture. Store them in a container and enjoy. Heat jaggery and little water in a pan. The amount of the water should be enough to immerse the jaggery. To check the consistency, drop a little bit of syrup in water and you should be able to gather the syrup and make a ball. (refer the video). Did you make a recipe? Follow and Tag @iamharichandana on Instagram so I can see all the Blend with Spices recipes you make. ? Thank you for sharing nice recipe.